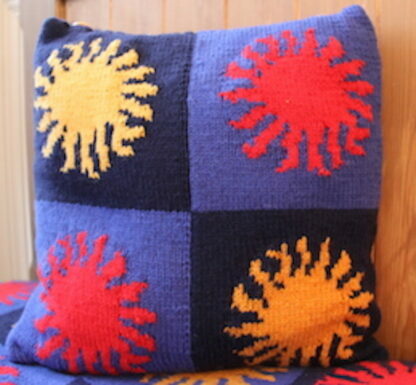 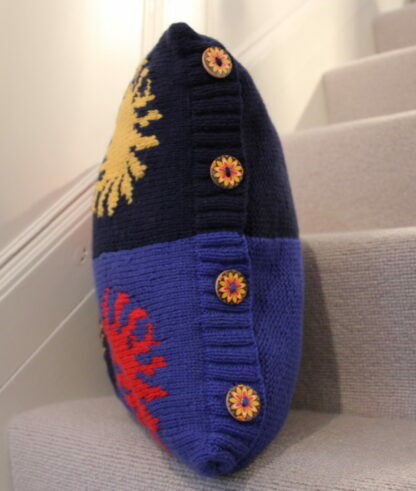 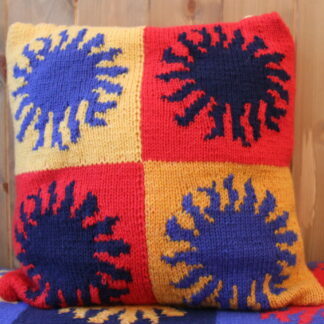 Large Sunshine Cushion knitting kit, designed by Judith of Needlcase, using Country Style yarn from Sirdar. The original cushion was designed for a garden bench. 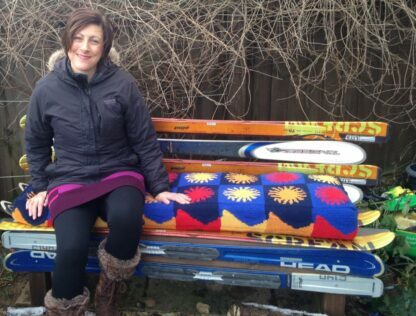 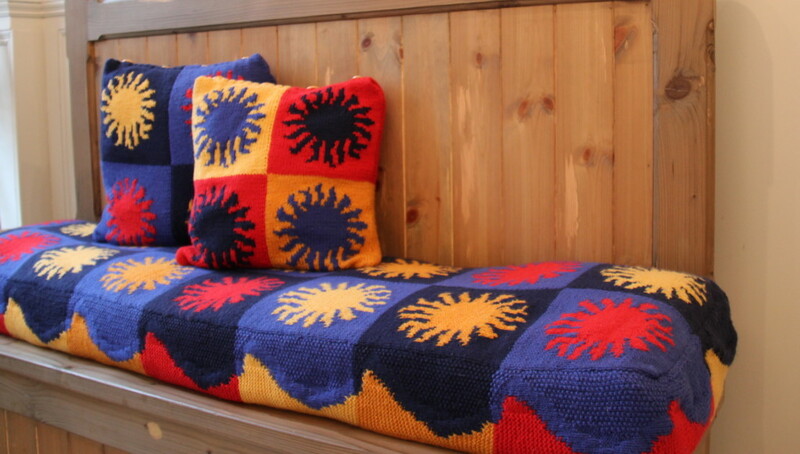 The bench is made from our old skis and I wanted to make a fun and colourful cushion to go on it. Most people probably wouldn’t want to knit something as large as my own cushion, but I thought that some might like to make smaller similar ones. 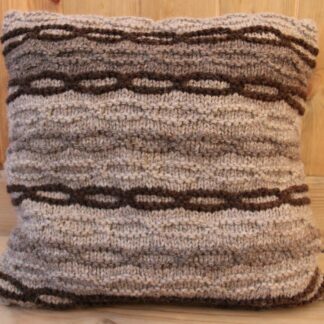 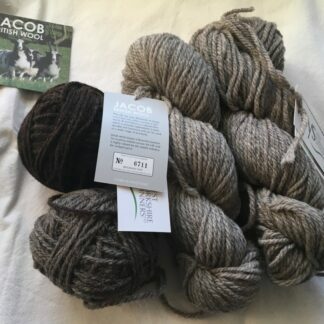 This kit contains all the yarn you will need to make a 16″square cushion and 4 gorgeous buttons to finish it off. 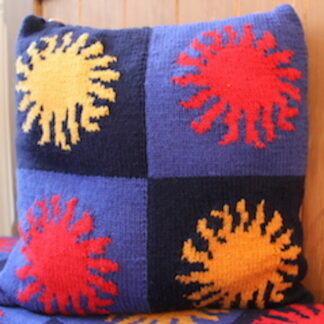 You will also receive the pattern which I have written for either a 14″ or 16″ cushion. You will need a pair each of 3mm and 2.75mm needles. 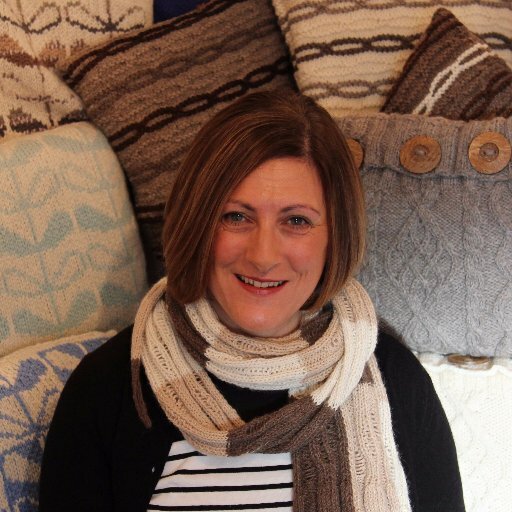 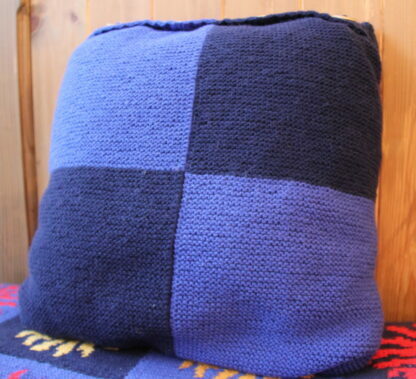 The finished cushion can be washed on a gentle setting at low temperatures should you need to do so. 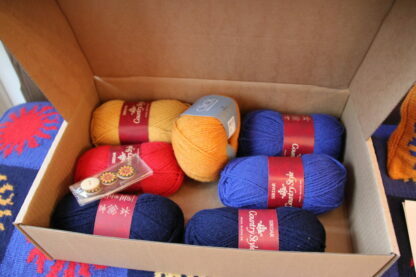 If you are looking for a gift for a knitting friend I believe that this knitting kit is perfect. 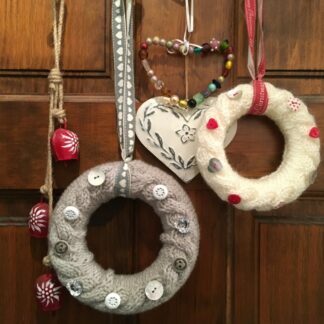 The pattern is easy to follow for those with some knitting experience or those wishing to learn the intarsia technique.